SkillCheck is a leader in the pre-employment assessment industry. Our clients utilize our continuously-updated library of over 500 skills, knowledge, behavioral and cognitive tests, along with our advanced assessment platform to improve the quality of the outcomes of their selection processes. SkillCheck is dedicated to demonstrating unique value through our continued focus and innovation in the areas of user experience, analytics and business outcomes, and seamless client service. We offer flexible and easy-to-use technology that can easily be integrated into your existing hiring workflow, a large and constantly updated library of validated test titles, and dedicated I/O consulting and services teams that help our clients define, measure, and continually improve outcomes. For over 25 years, SkillCheck has been helping clients around the world solve their most challenging hiring efficiency and quality issues, and our focus on innovation continues to drive unique value for our clients. We are dedicated to offering more relevant content, remaining more agile and flexible to address our clients’ unique needs, and continuing to explore new and more effective methods for measuring the skills, knowledge, abilities, and fit of applicants. SkillCheck’s mature, proven integration makes it easy to get started testing your candidates through the Bullhorn platform. We offer over 500 current and updated off-the-shelf tests, and a suite of associated test building and administrative/analytic tools to facilitate client success. Within Bullhorn, integrated clients can select one or multiple tests for administration in one session, and see results summaries and full reports instantly upon test completion. Also, no integration programming is required for additions or changes to the available test list. 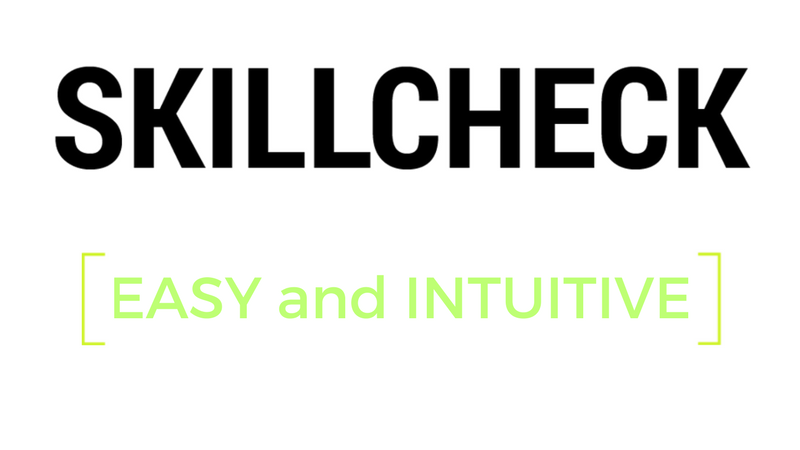 SkillCheck ensures satisfaction through our unique focus on experience optimization. For our client-users, we provide the highest quality and most relevant testing content via the easy-to-use workflows, along with fast, friendly client services. For test-takers, we complement our clients’ employment brands by offering an intuitive, attractive experience that works across the broadest range of computer or mobile device configurations. From administration and reporting to professional services and support interactions, we continuously analyze all of our user experiences to ensure world-class satisfaction.